Obama condemns North Carolina, Mississippi anti-LGBTQ laws. 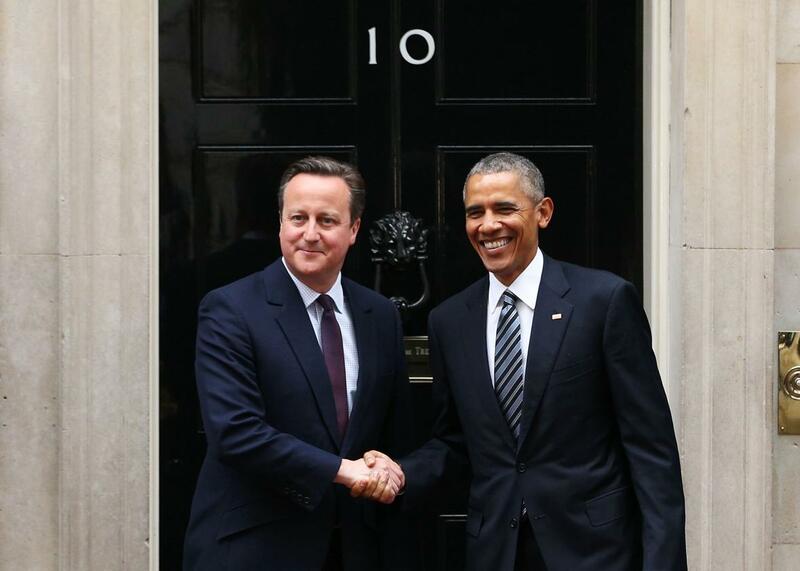 President Barack Obama arrives at Downing Street to meet with British Prime Minister David Cameron on Friday in London. At a press conference Friday, President Barack Obama criticized anti-LGBTQ laws recently passed in Mississippi and North Carolina and called for their repeal. “I also think that the laws that have been passed there are wrong and should be overturned,” Obama said, adding that “they’re in response to politics in part and some strong emotions that are generated by people.” Obama was joined at the press conference by U.K. Prime Minister David Cameron, whose foreign office has cautioned LGBTQ British tourists against visited both states. Aside from one comment through White House Press Secretary Josh Earnest, Obama has kept fairly quiet about the spate of anti-LGBTQ legislation in Republican-dominated statehouses. However, his work for LGBTQ rights behind the scenes has already helped to thwart the worst effects of anti-gay and anti-trans policies. Obama’s appointees to the Department of Education have interpreted existing federal law to prohibit anti-trans discrimination in public schools, leading a federal court to rule on Tuesday that a Virginia school district cannot exclude a trans student from the bathroom that aligns with his gender identity. Moreover, his appointments to the Equal Employment Opportunity Commission led to a series of decisions protecting gay and trans workers from discrimination. Opponents of the North Carolina law have cited these rulings in their challenge to the measure’s legality. If their lawsuit succeeds, LGBTQ advocates will have Obama to thank.